In a bowl, whip cream until soft peaks form. Fold in mayonnaise and dill. Salt and pepper to taste. 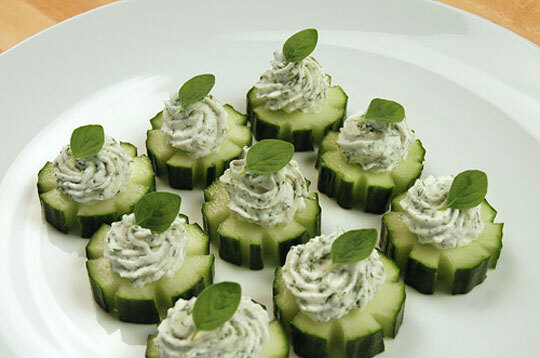 Spoon cream mixture on top of cucumber slices (or use a piping bag). Sprinkle with fleur de sel.